Jun - 17 | By: Oregon Film | no comments. 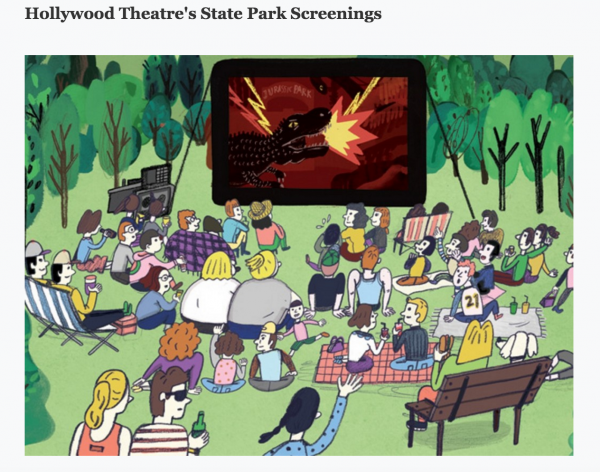 Oregon State Parks, The Hollywood Theatre, Travel Oregon and Oregon Film have partnered together to bring themed outdoor screenings into state parks this summer. The first one up: Christopher Guest’s hilarious BEST IN SHOW at the Dog Park in Molalla River SP. There will be festivities and even a doggie fashion show – so bring your best friend, your own bottle and settle in for a great evening. Tickets are free but need to be reserved in advance. Get more info and tickets here.